There are many people getting involved in the cryptocurrency scene here at Wales and I am very proud to be a part of what feels like a movement of sorts where the financial industry, tech industry and political landscape are about to change in huge, fascinating and positive ways. 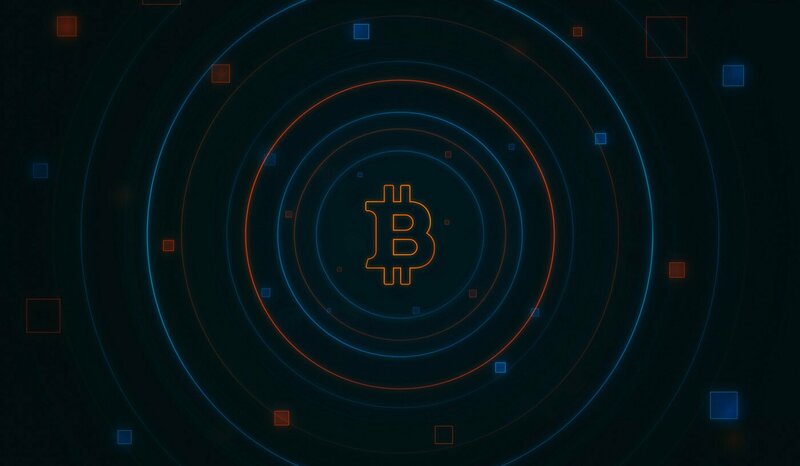 We at Bitcoin Wales are going to post the impressions left on others by Bitcoin and the crypto scene so that we can all gain a valuable insight and impression of how Bitcoin and crypto is impacting the lives of others. Our first writer is Morgan Price who I met at the Bitcoin event we held at The Celtic Manor and he has kindly responded with his thoughts and opinions of Bitcoin. Morgan Price is the co-creator of The Health Cloud which is a business that operates in Caerphilly, Wales. They have an online business and website that encompasses all aspects of health. From their website you can access some great health articles, recent health news, videos, health facts and an archive of articles. The Health Cloud LTD is also an online store for the purchase of high quality health products where each product is carefully researched. As of mid-February 2014 The Health Cloud was accepting payment in Bitcoin. How did you get involved with Bitcoin? I originally discovered Bitcoin and cryptocurrency back in April 2013. I can’t remember exactly where I heard about it, but being a bit of a computer geek, I decided to dig a little deeper. Not long after I was using my computer to mine an alternative to Bitcoin, known as Litecoin. I stopped mining but I held onto my Litecoins that I had mined and also bought a small amount of Bitcoin. Although I loved the idea of cryptocurrencies, at that time the price and volatility is what really interested me. Come late 2013, bitcoins were worth over $1000 and Litecoins hit $45, by Jan 2014 I had invested in 2 dedicated mining rigs to mine Litecoin 24/7. Unfortunately over the next few months mining became extremely competitive and I had to stop. During my journey with Bitcoin I have come to realise the current price isn’t what is important. It’s the technology and how it can change the world just like the internet did. What inspires you about Bitcoin? Bitcoin gets me excited. When I think of Bitcoin I think of innovation and technology, and being an online entrepreneur, these are two things I love. When most people think of Bitcoin they often think of two scenarios. The first is where Bitcoin is only being used by criminals and drug dealers, and the second is more of a question, which is “but how will Bitcoin benefit me?”. It’s funny how the internet is also used by criminals and drug dealers, but as a whole we can all agree the internet is an amazing tool, even though it can be used for bad, the amount of good it has brought to this world far outweighs any bad. I believe this is true for Bitcoin. At the moment we hear a lot of negative press on Bitcoin, and that’s understandable, it’s a new, unknown technology. This was the same scenario for the internet in the late 90’s. 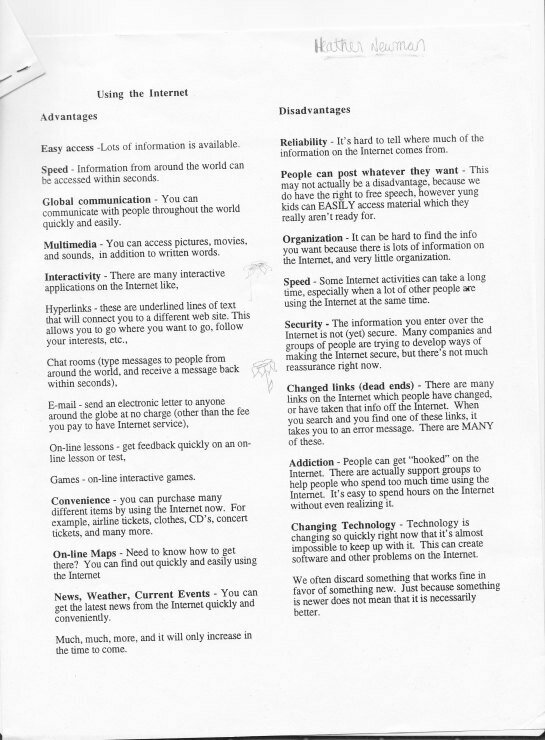 Here’s a pro’s and cons list of the internet back in 1996. Note in disadvantages “People can post whatever they want” and “Security”. I think Bitcoin is similar as “people can send to whomever they want”. Yes it’s scary, but isn’t that the thing that’s made the internet so amazing? The fact that anyone can create a website and post what’s important, funny or interesting to them? This is the same for Bitcoin. It’s amazing that you can send value to anyone around the world, no matter their religion, race or ideals practically for free! Security is a big issue with Bitcoin and it’s always improving. Look at “Security” on the Internet list under disadvantages. It explains how it wasn’t perfect, but people were developing ways to make it more secure. This is just like Bitcoin, companies, methods and technologies are being created on a frequent basis to keep your Bitcoins safe. Let’s go back to scenario two “but how will Bitcoin benefit me?”. Yes you’re right, why should you use Bitcoin when you have a debit card that works perfectly for you? Instead of thinking how will it benefit you, that’s not really important right now, let’s think how it can benefit those who aren’t as lucky as us. Bitcoin is there for the people in 3rd world countries that don’t have a bank. If you have access to a mobile phone you have access to your own Bitcoin bank, and for these people that is an amazing tool, and something we take for granted. Bitcoin is becoming popular in places like Cyprus where the government is literally freezing and taking money from people’s bank accounts, and also Argentina as a way to escape the ever-devaluing Peso. For me, Bitcoin isn’t really about us at the moment, it’s about the “un-banked”. Don’t get me wrong, I think Bitcoin and blockchain technology is going to bring some amazing benefits to the average Joe over time, but right now that’s not what’s important. What made Bitcoin a viable option for The Health Cloud? Being an online business, accepting Bitcoin was a no-brainer and was really easy to integrate into our web-store. Using WordPress (which powers the majority of the websites on the Internet) you can start accepting Bitcoin within a few minutes. What’s great is there are several services already that will allow you to convert all or a percentage of that Bitcoin to your currency. For example on our store we have sometimes decided to keep 100% of the Bitcoin and other times we have had the bitcoin automatically convert to GBP, so we don’t even see the Bitcoin, we just see £25 appear in our account. Is it a better option than more traditional payment channels? For the average Joe, at the moment there’s no real benefit over using their debit card. However, within our business we have come across many scenarios where using Bitcoin would have been ideal. Many times we have to send funds internationally and this usually costs us a base fee, plus a percentage of the transaction. This is usually about a £30+ fee where Bitcoin could have done the same for 3p. Until all the companies we deal with accept Bitcoin though, this is a fee we will have to continue to pay. The good news is we do have one company that accepts Bitcoin and that has made international payments an absolute breeze. Over time, more services will adopt Bitcoin and even though the recipient might not accept Bitcoin, the payment service will accept Bitcoin and then auto-convert to the recipient’s local currency. How do you see Bitcoin helping Wales and your business? At the moment I see Bitcoin being potentially really useful for businesses in Wales that do international transactions and businesses that pay a lot in credit/debit card processing fee’s. The more people that use Bitcoin the less you’re paying for credit/debit fee’s, usually businesses offer a discount to Bitcoin users, but still make more money than if the user used a credit card. When you cut out the middleman, you both win. Have you anything you wish to add? Watch this space. Although Bitcoin might not be ready for mass adoption yet, blockchain technology is moving really fast and you better be ready when it hits. Whether it becomes the backbone of the banking system, reducing fee’s and increasing speed, or a currency that every business accepts, it’s coming. For those who are already prepared, come and spend some Bitcoin at The Health Cloud.